So far Leeann Russ has created 435 blog entries. Due to a water main break on Mechanic Street in the area of Magnolia Drive, expect road closures and traffic delays. Currently Mechanic Street is closed from Goshen Road to Boyd Street. Magnolia Drive is closed from Mechanic Street to Church Road. Repair Crews are currently working on the break, but there is no estimated time frame for the repair to be completed. Please plan to use alternate routes to avoid the area. Updates will be provided as information is received. Sewer repairer Eric Kelly made a quick leap from full-time worker to Employee of the Month. He was recognized Monday as the April honoree, just two months after achieving full-time status. As a sewer repairer, Kelly works to maintain and repair Middle Township’s sewer system, including clearing stoppages in the main lines and in home sewer connections. Kelly, a resident of Woodbine, is a sewer repairer who started working for Middle Township as a temporary employee in October 2018. He obtained his commercial driver’s license in January of this year, which is required to operate vehicles used on the job. Kelly became a full-time employee in February. 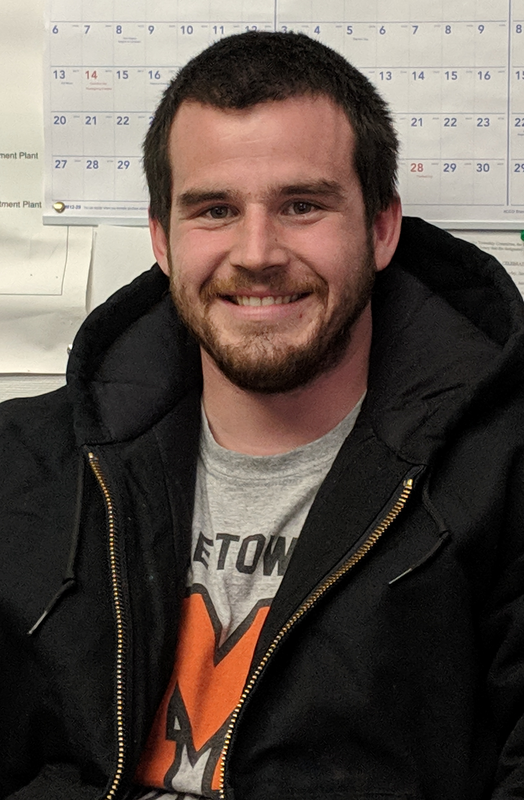 As April’s Employee of the Month, Kelly received a certificate at Monday’s Township Committee meeting and his photograph will be displayed on a bulletin board at the administrative offices. “An attitude is a little thing that makes a difference,” Committeeman Michael Clark said. Middle Township Committee initiated the Employee of the Month program to recognize employees who have shown exceptional dedication, determination, innovation or performance. They are honored for going above and beyond the typical job requirements to help the township run smoothly and efficiently. The program culminates with the Darius Graham Employee of the Year honor, named for one of the township’s most beloved employees in its history. Township residents who have had a very positive interaction with any Middle Township employee can pick up a one-page form to nominate an employee. Forms are available inside Middle Township Hall, 33 Mechanic St. in Cape May Court House, from the Human Resources and Training Department, the Administration Department, and from the bulletin board. Do you have a Question or Feedback? Middle Township's government wants to hear from you!